Get ready to care-a-lot! Those snuggly furballs known as the Care Bears are undergoing the Funko treatment. Make your collection the most adorable on the block with this Care Bears Good Luck Bear Pop! Vinyl Figure #355! Measures approximately 3 3/4-inches tall and comes packaged in a window display box. Please note: This item may have variants randomly inserted throughout the production run. We cannot accept requests for specific variants, nor can we accept returns on opened items. The item you receive may be different from the one pictured. Funko,Care Bears,Pop! Vinyl Figures,Get ready to care-a-lot! Those snuggly furballs known as the Care Bears are undergoing the Funko treatment. 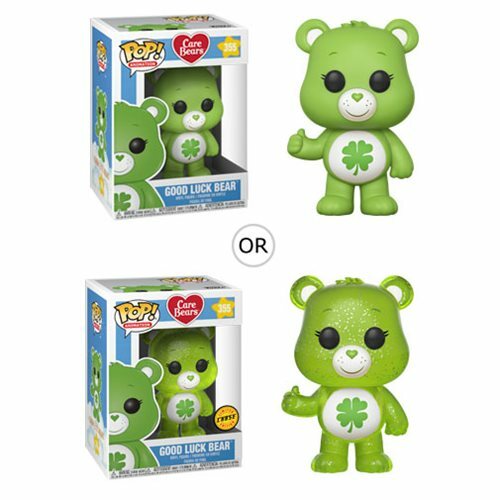 Make your collection the most adorable on the block with this Care Bears Good Luck Bear Pop!